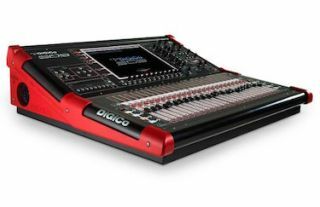 DiGiCo is upgrading its Stealth Core 2 so SD9 users can upgrade their current consoles with the latest processing and application code. This upgrade will be an option for the company’s SD series digital mixers and is due to be released this summer across the product range. While the external architecture of the SD9 will remain the same, Stealth Core 2 will open up additional processing ability. The SD9 upgrade will include an increase from 48 channel strips to 96; an increase from 24 output busses to 48 + Master + 12 x 8 Matrix; an increase from 8 to 154 DiGiTuBes; an increase from 8 to 154 Multiband Dynamic options; an increase from 8 to 154 Dynamic EQs; Digital FX rises from 8 to 12 units; and Control Groups jump from 8 to 12 to control the increased channel count.